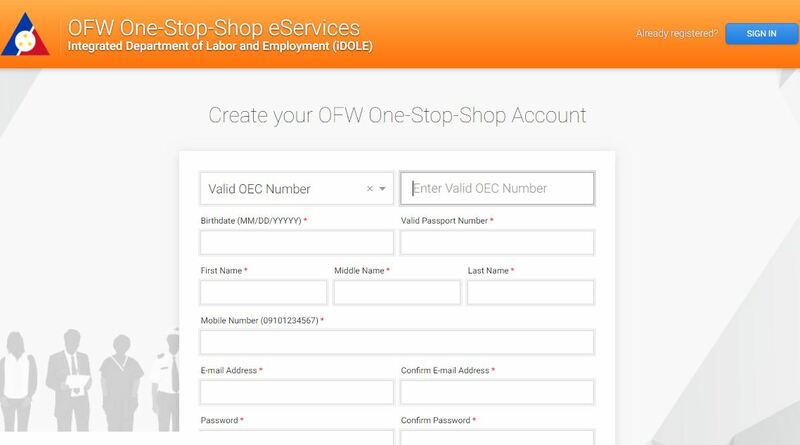 The OFW or iDOLE is now for grabs for Overseas Filipino Workers (OFW) for a hassle-free transaction in the country. But before an OFW can get his or her much-awaited OFW ID, he or she should apply first. For those who already applied, good for you. But for those who are asking what is the process, this article is for you! The application is free and hopefully always will be! Go to www.idole.ph. If you have an account, just sign in. But if you don't, click "Create an Account". If you have signed in already. 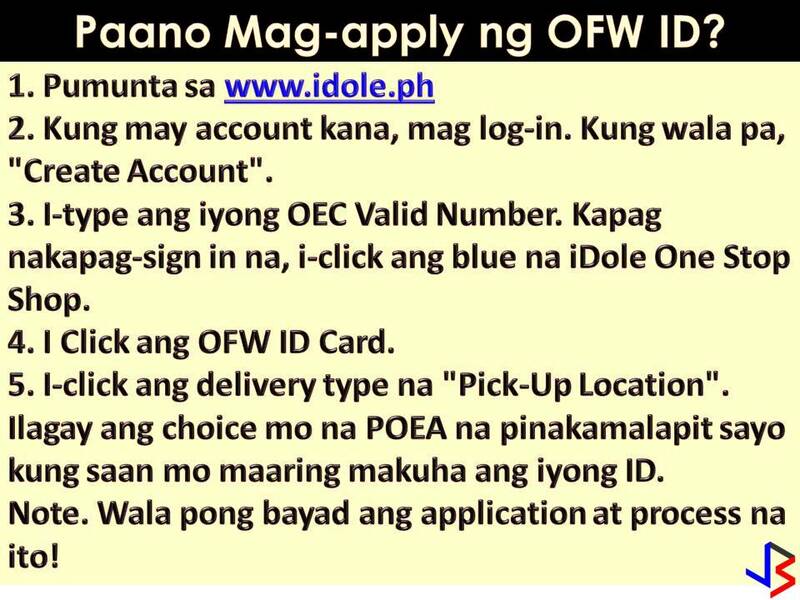 Click the blue "iDole One Stop Shop" then, click "OFW ID Card". Click the delivery type - PICK-UP Location. There you have a choice to choose the nearest POEA in your area where you can claim your ID. If you want to claim it in Manila, then you select POEA - Ortigas. Click Proceed. Then you will see your reference number and your OFW ID. Your OFW ID is now ready for pick-up! The confirmation looks like this image below. One reader sent this message to us regarding his experience filling up the form. Please read. There you have it. 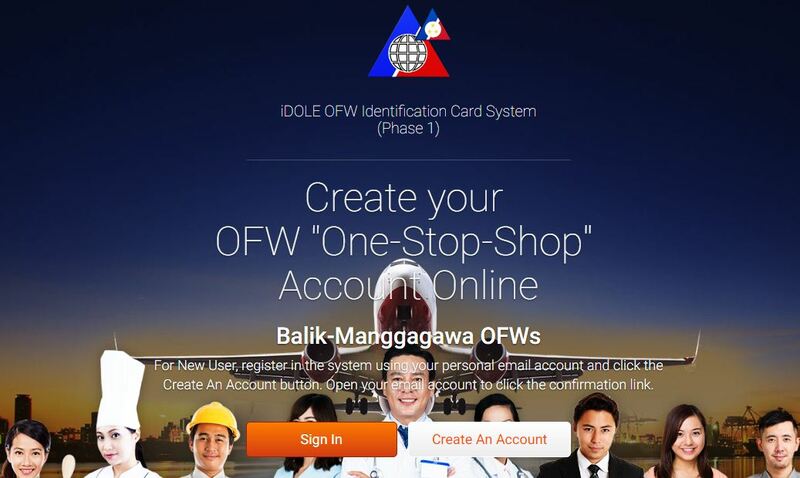 As OFW, this OFW ID also known as iDole is a big help since it can fast-track your transaction. 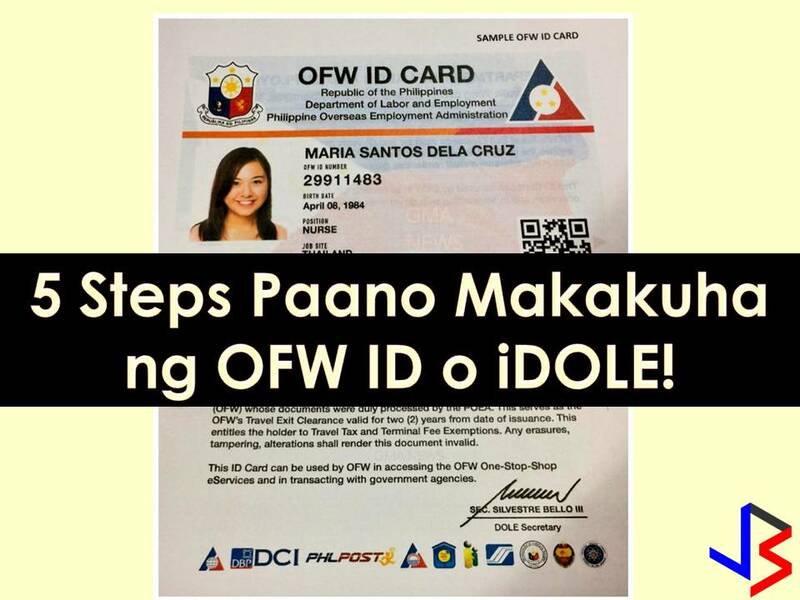 It is because all of your records or information from POEA, DOLE, OWWA and other agencies are integrated into one ID. 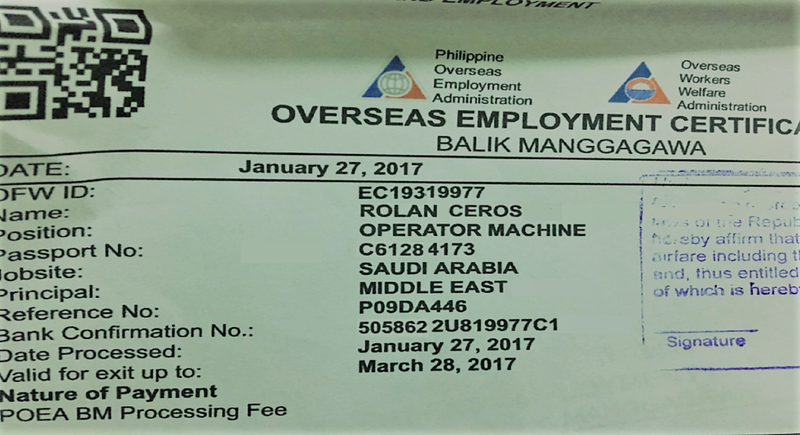 You can use your OFW ID too as a passport or obtain documents needed in your work abroad. 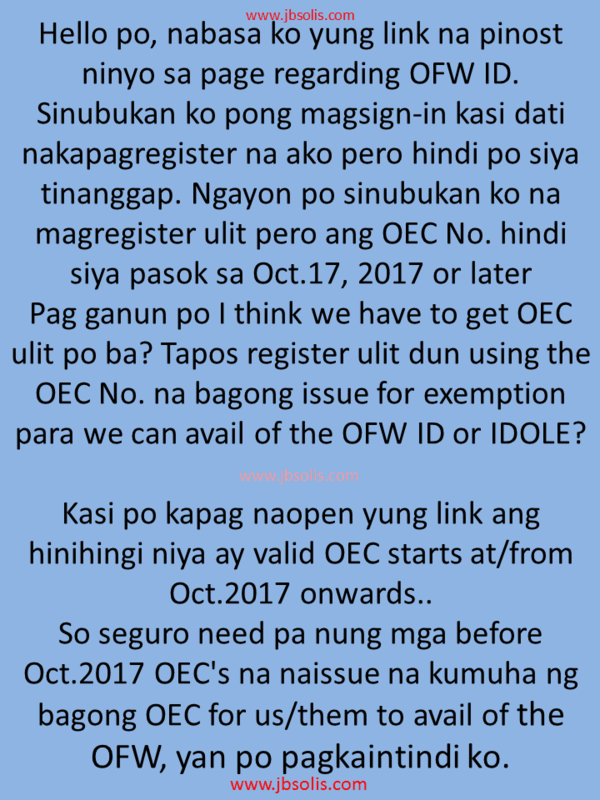 Take good care of your OFW IDs mga kababayan!